I'll also touch on a couple spoilers so beware of that. 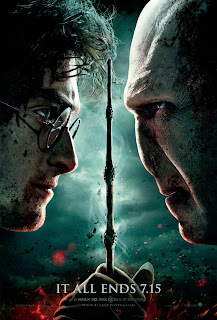 Harry Potter and the Deathly Hallows Part II is a fitting ending to the 8 movie series. 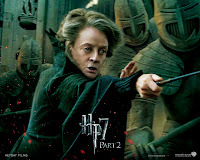 It also does a nice job of explaining the wand-swap and accidental horcrux plot twists that are key to the story. It's a little clearer than in the book. The movie has an intense pace. The viewer never really has a chance to get bored. It moves from one intense scene to another quickly. Some are emotionally intense; others are action-packed. I enjoyed the pacing, but it is tiring, and others may not appreciate that. Most of the main characters get their moments in the film. Harry, Hermione, Ron, Ginny, Mrs. Weasley, Neville, Luna, and more all get their chance to shine. 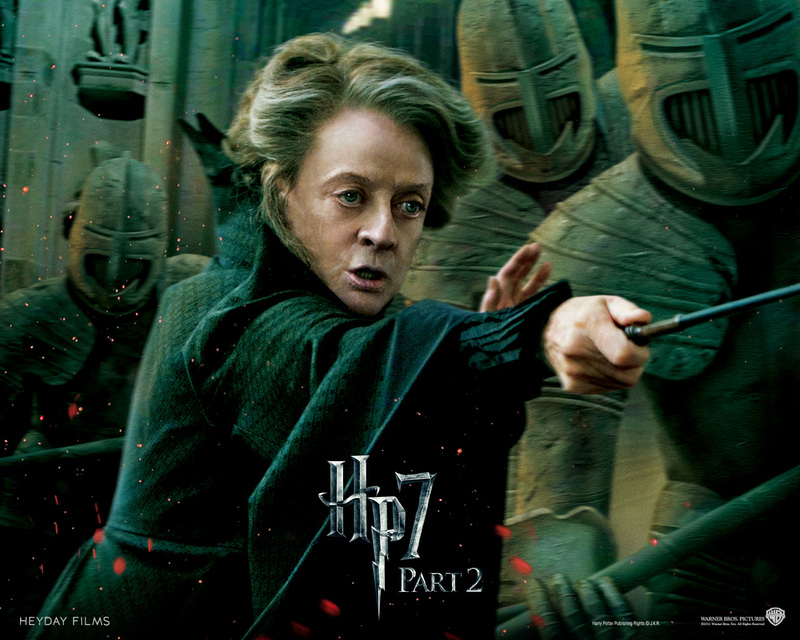 One of my favorite moments is when McGonagall takes her place in running Hogwarts, and leads the defense. The moment she calls down the statues to battle is pretty awesome. The scale and design of the battles is fantastic. There is a sense of danger, and there is plenty of tension through the long night and into to following gray morning. And the loss of friends and allies is keenly felt. Here is one of the points I am a little disappointed in. This is not just a criticism of the film, but the book as well. Tonks, Lupin, and Fred don't get much of a death scene. I would like to have seen them struggling valiantly against the enemies before finally falling, but that doesn't quite happen. We don't really get to see it. In some respects I feel cheated by that. And maybe that's Rowling's point. Death isn't glorious or something to be celebrated. In battle people die. Perhaps giving them their big death scenes would undermine the idea of the darkness of their death. It may be that she didn't want to glorify death in battle. I can appreciate that choice, even though I wanted to see more. There's another choice Rowling made that I feel is a lost opportunity. The point of the Tri-Wizard Tournament in Harry Potter and the Goblet of Fire was to unite the Wizarding schools against the coming threat of Voldemort. In the final movie though, the only representative from there is Fleur Delacour Weasly, and that's only because of her marriage. In the epic battle, where was the Beauxbatons carriage or Durmstrang ship coming to aid or attack Hogwarts? Failing to bring the schools back when it was really necessary is a missed opportunity. Or perhaps it could have been made clear that the schools had already been overrun by dark wizards leaving Howarts alone. It could have really added something in either tone or action. Those concerns don't take away from my enjoyment of the movie. It's well worth seeing if you are a fan of the franchise. If you haven't seen the other films, I wouldn't jump in here; go back to at least Part I. It's best if you go all the way back to the beginning, but I you'd rather not go back that far, at least go back to the Order of the Phoenix.